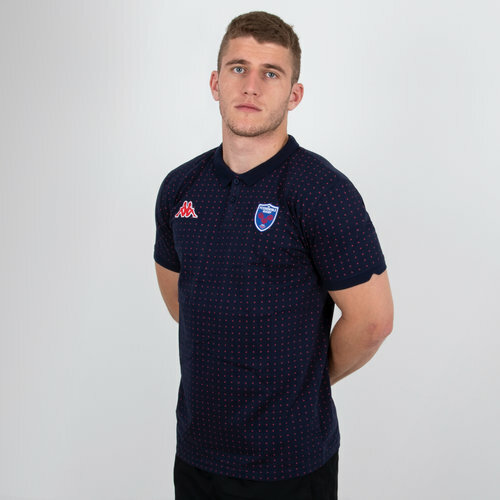 Fly the flag high for the FCG in this FC Grenoble 18/19 Bianca Rugby Polo Shirt from Kappa. This polo shirt is navy with a red polka dot design over it. The Kappa logo is on the right with the club badge on the left. Treat yourself with this polo shirt worn by players while away, and show your support to the club FC Grenoble.